Karin and Mike Kelleher have been making music together for over three decades. They once eyed one another across a crowded freshman music theory classroom, each too shy to talk. Later, they became friends through music, when Karin played violin in a string quartet while Mike played guitar and sang "Yesterday" and "Piggies", as part of a recital of Beatles music he arranged and conducted. Their paths diverged -- Karin leaving for graduate violin studies in Cincinnati, and Mike flying to West Africa to serve in the Peace Corps -- but the affection lingered. Hours before flying to Sierra Leone, Mike spent the last few dollars in his pocket to send Karin a single white rose. A decade later, while unpacking after one of many moves, Mike saw the receipt for that rose. He gave Karin a call to see how she was doing. They went out for Chinese food and were married 18 months later. They've collaborated throughout the years, playing Mike's songs, performing classical music, or covering old favorites. 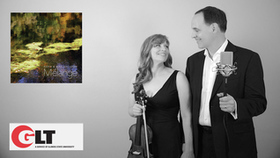 Last fall, they decided to make a recording of their own music, combining Mike's love for jazz with Karin's passion for classical music. The result is their album, "Melange", which is French for "mix". Produced, composed and arranged by Mike, Melange not only blends jazz and classical compositions and styles, it combines different eras, and with unique acoustic instrumentation, including string quartet, double bass, drums, guitar, oboe, and voice. 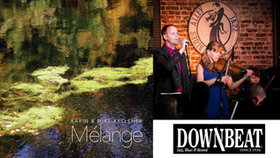 "Melange" celebrates the cross-influences of classical and jazz composers, highlighting musicians who perform -- and serving listeners who enjoy -- both genres. 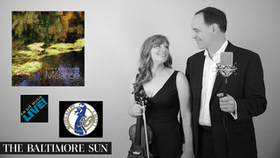 Karin and Mike settled in the Washington, DC area just before Mike began a stint at the White House (NY Times story here), and Karin began playing with the Annapolis Symphony and other orchestras and ensembles. They live in Maryland with their three daughters, perform regularly on the east coast, and are already planning their next album. 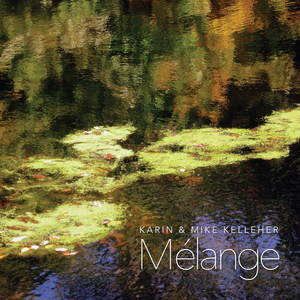 Composer/vocalist Mike Kelleher and classical violinist Karin Kelleher release their debut album Mélange on September 4th, 2015. The album blends rich and diverse harmonic colors and rhythm, fusing jazz and classical styles, and includes original compositions and arrangements. 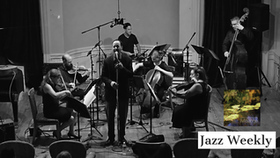 Mélange (French for "mix" or "blend") celebrates the cross-influences of classical and jazz composers, and includes a unique ensemble of performers who excel in both genres. The unique acoustic instrumentation includes string quartet, double bass, guitar, oboe, voice, and drummer Joe McCarthy, the founder and leader of the Latin Grammy award-winning group Afro Bop Alliance. Downbeat Magazine excerpts from the review: "The Kellehers are passionate Washington, D.C.- based musicians with feet in jazz and classical camps. Mike-a former White House director of correspondence-sings, scats, strums and composes; Karin plays classical violin in several Maryland symphonies. Mélange presents their array of originals, covers and mashups with strings and a rhythm section, with a tone that's cheery but a style that's neither fish nor fowl. Charts lope along with swing feel (Joe McCarthy of Afro Bop Alliance is on drums)…and Karin's eager violin obbligatos. 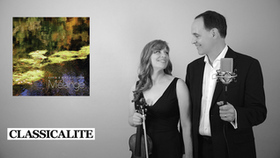 "Ensemble counterlines unfurl with grace on ‘Kyrieousity' and ‘Claire De Lune'…. Bookending the set are Mike's original vocals ‘Beautiful Pain' (with oboe filigree) and ‘My Love Isn't' (guitar and violin), with clear voice…. His earnest tenor sounds best (think Kurt Elling or Theo Bleckmann) at low volume and intensity on ‘Ancka's Dolphin Dance,' the Hancock favorite enriched with fresh lyrics and ripe choral overdubs." The fact that composer/vocalist Mike Kelleher just released - Melange an aptly named album of mixed genres, would be more newsworthy than saying he comes off as a genuinely decent person. But in these cynical times, it's actually relevant - especially given his line of work. After tag-teaming with Barack Obama through their respective campaigns for political office, the former Peace Corps volunteer ended up in the then-senator's Chicago office as Director of Outreach and Economic Development. As president, Obama invited him to the White House as Director of Presidential Correspondence. "We got letters with catastrophic pleas from real people. You feel responsible for them. They're appealing directly to the president," Kelleher recalled of his 12-hour days managing 200 staffers, interns, and volunteers at the White House. From the deluged "information factory," they culled 10 letters per day for the president's briefing book. "If you make a mistake, it could end up above the fold in the newspaper. Especially early in his administration, any mistake could affect his ability to implement policy. I'm very proud that we made that a trouble-free time for him." 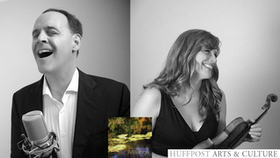 READ THE FULL HuffPost ARTICLE Kelleher's musical expression is no East Room parlor trick. He's no John Ashcroft ("Let the Eagle Soar"). He's no Bill Clinton (tenor sax). And anyone who believes that Washington, DC, is 'Hollywood for the ugly people' hasn't seen his wife and musical collaborator Karin. This recording is the real deal.